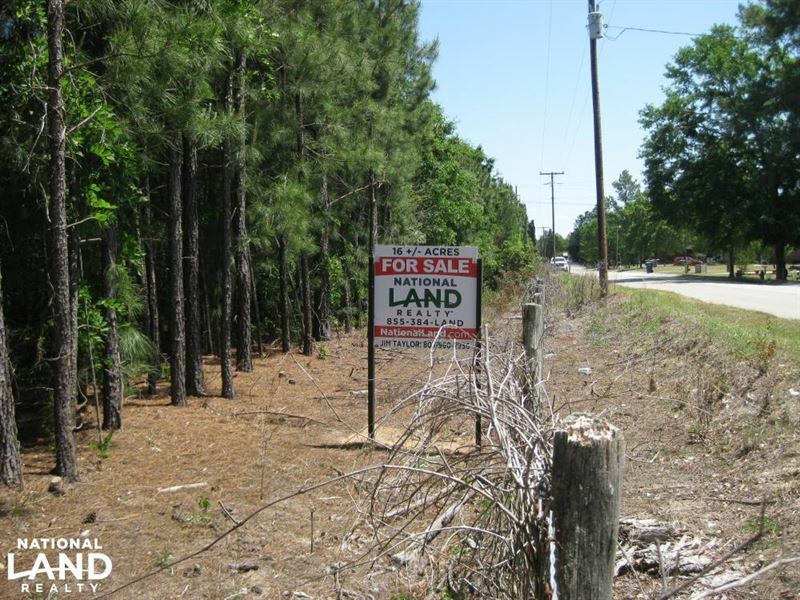 This 16 +/- acre property is located on S Hampton Road in Lexington, SC just around the corner from the Ymca property. The property is located just off Two Notch Road convenient to I-20, Lexington, Columbia, Aiken/Augusta. The land features level topography and more than 500 feet of road frontage on S Hampton Road. Electricity, telephone, and cable are available, and county water available fee applies. The property is fully wooded with young natural regrowth pines and hardwoods, level topography, nice building sites. This property has the potential for a multi-homesite development or a low density residential development. Call our office to schedule your tour.